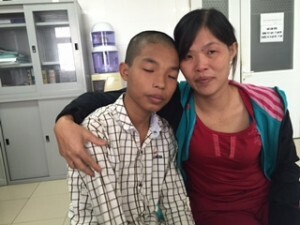 When MEDRIX met 16 year old Duc in October 2015, he was an extremely ill boy: it was difficult for him to speak and he was visibly weak and very thin. His mother was very worried about his prognosis of congenital heart defect because he had an aunt with heart issues also, and another aunt who died during child birth. 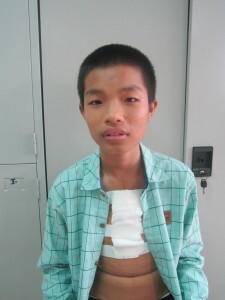 The decision for surgery was not an easy one to make for Duc’s family. For Duc however, he was “not afraid” because he knew that surgery would enable him to live a full and rich life like his friends. His dreams are to go to college and become a computer programmer. 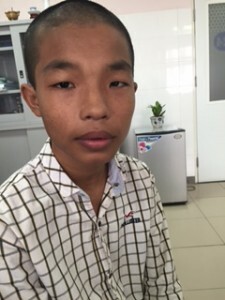 Now thanks to the generosity of MEDRIX donors, Duc has a new lease on life: he finally received the corrective surgery he needed on Christmas Day, 2015. It went well and Duc was discharged from the hospital on January 6, 2016. His family sends their “deepest thanks to the [MEDRIX] donors for giving him a new life”. Now Duc will be able to finish high school and be healthy enough to pursue college–something that would have been impossible before. 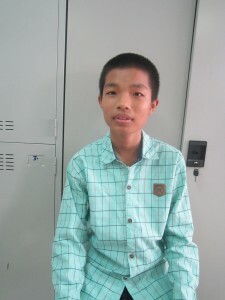 Thank you for supporting MEDRIX and helping kids like Duc have a chance at healthy and happy lives! Duc after surgery: much healthier already!